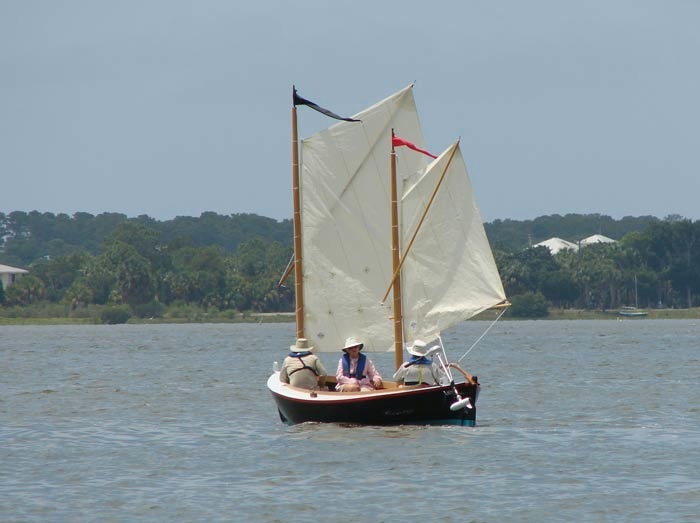 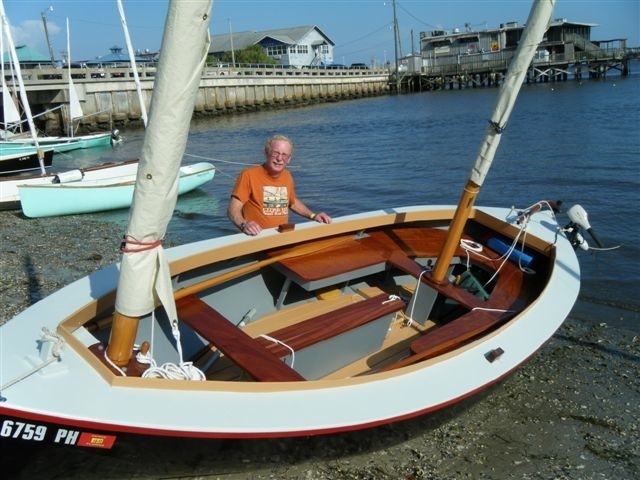 Rex and Kathie Payne of Spring Hill, Florida, just launched an 18′ No Man’s Land boat based on the plans that Howard Chapelle documented of an 1882 No Man’s Land boat built by Beetle, Inc., and published in his book, American Small Sailing Craft. 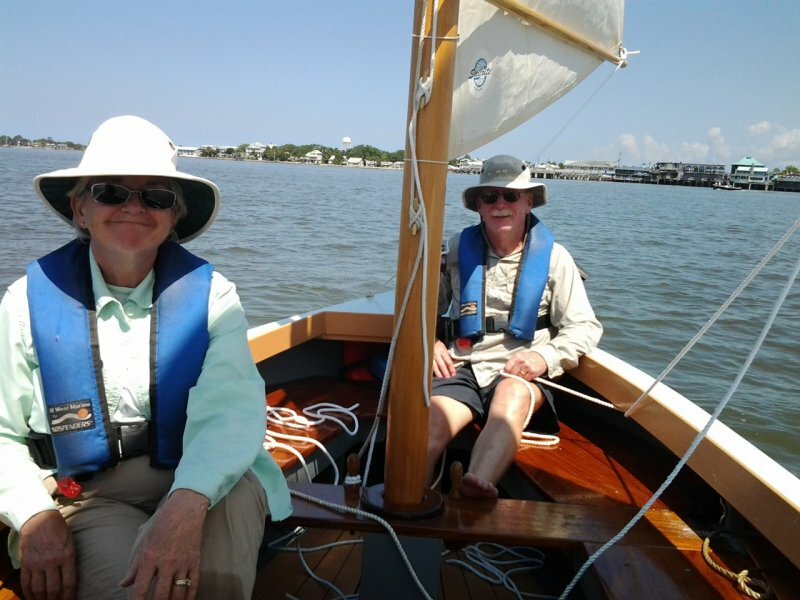 The Paynes spent about 650 hours on the construction from October 2011 to May 2012. 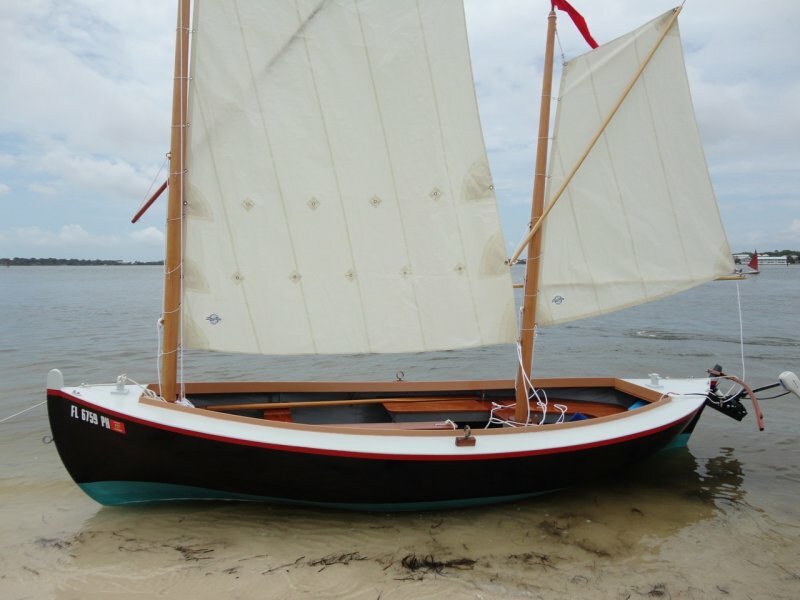 EYECOD is built of cypress strips, with mahogany seats, and fir birdsmouth masts. 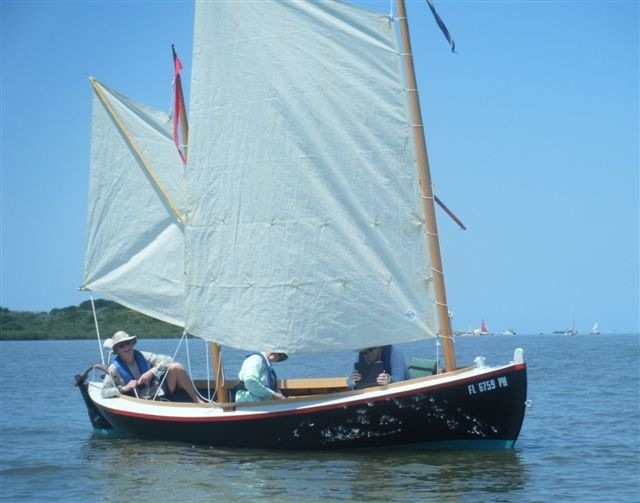 They launched EYECOD at the West Coast Trailer Sailor Squadron Small Boat Gathering at Cedar Key on May 3, 2012.